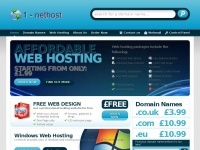 Great deals on Web hosting, Email hosting, Domain Name Registration and Web Design at competitive prices. 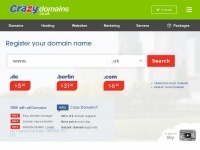 Free Domain Namesand Free Hosting available plus a 30 day money back guarantee. Bluemachinery.co.uk - Low cost do­main na­mes, hosting, URL, web­mail, e­mail, ..
1-nethost.co.uk - Web Hosting from £1.99 _ Free Web De­sign & Free ..